Recently I have announced fellowship by the American College of Functional Neurology. Well, once again I am proud to report that I have recently been advised that I have been accepted as a Fellow of the American Board of Vestibular Rehabilitation as well. The American Board of Vestibular Rehabilitation, (ABVR), certifies qualified physicians at the fellowship level in the specialty are of vestibular rehabilitation. Vestibular rehabilitation is that area of neurology and otology that concerns itself with the diagnosis and management of balance disorders, including vertigo, dizziness and dysequilibrium. The ACFN maintains standards for competent practice in the health care specialties for which they offer fellowship. The College and board also conducts recertification designed to enhance the continued competence of accepted Fellows. Functional neurologists use and utilize current concepts of brain function to formulate brain based neurologic rehabilitation programs to treat patients with neurologic disorders. Treating patients with dystonia, ADD/ADHD, headaches and traumatic brain injuries, as well as pain, pain syndromes and other types of disorders, our office is no exception. And with further sub-specialization in vestibular rehabilitation, we would typically see patients with disorders such as vertigo, dizziness and dysequilibrium/imbalance and fall risk, disorders with which we have met with a myriad of success. More information about the FAVBR or FACFN certifications is available at www.acfnsite.org. I am proud to report that I have recently been advised that I have been accepted as a Fellow of the American College of Functional Neurology. The American College of Functional Neurology, (ACFN), certifies qualified physicians at the Fellowship Level in a variety of neurological specialties. The ACFN maintains standards for competent practice in the health care specialty of Functional Neurology. The College also conducts recertification designed to enhance the continued competence of the Functional Neurologist. Functional neurologists use and utilize current concepts of brain function to formulate brain based neurologic rehabilitation programs to treat neurologic disorders, such as vertigo, dizziness, dystonia, ADD/ADHD, headaches and traumatic brain injuries, as well as pain, pain syndromes and other types of disorders. Our office is no exception and we would typically see patients with the aforementioned disorders and symptoms, with which we have met with a myriad of success. More information about the ACFN certification is available at www.acfnsite.org. 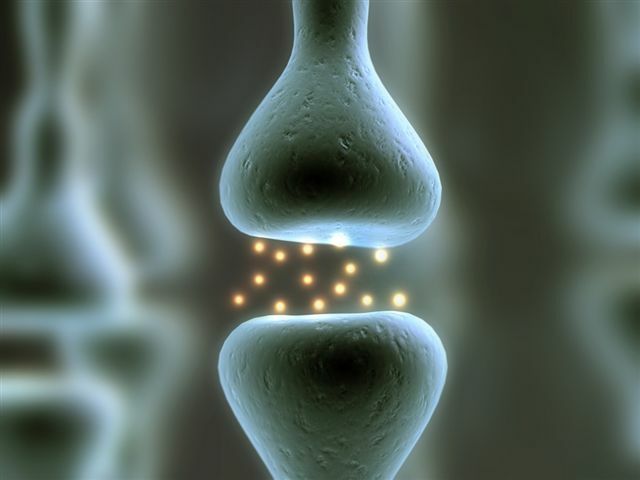 What Is Functional Integrative Neurology? I am asked this question a lot as we have found that this is the best way to describe what it is that we do. In essence, it is exactly what it is. Functional medicine pertains to restoring optimal function to a body part or system. Integrative, refers to the integration of as many therapeutic possibilities as are required to appropriately treat an individual. And neurology, obviously, is the practice of medicine specific to the brain and the neuraxis, (the entire nervous system). In my office, we treat patients with neurologic disorders without the use of drugs or surgery. This is a very difficult concept to comprehend by most, because as a society, we have come to accept that the only way to treat illness is with the use of drugs and surgery. This is hardly the case. It’s unfortunate that so many people are convinced, through advertising, that the best answer to a commonplace problem is a radical and toxic solution as the first course of action. In fact, many of the things that I treat patients for respond better without drug therapies, which actually often complicate matters sooner than fix them. Vertigo, dizziness, dysequilibrium and dystonia are a few of these types of conditions. This is also coincidentally the focus of my practice. Our office provides effective treatment strategies based on contemporary principles of applied neuroscience and the individuality of each patient. I am fully trained to evaluate the functional state of each patient’s neurological system, as well as to appropriately determine specific and individualized neurological applications of treatment through non-invasive procedures. As such, these procedures are uniquely designed to promote directed changes within the brain and nervous system. Using these types of brain based directed treatments, we are afforded a greater understanding of the neurologic spectrum of disorders with an opportunity and an ability to serve the many patients who suffer with these afflictions. So what is a chiropractic neurologist? As in other medical professions, we have individual specialists within the chiropractic profession. Through education, training and board certification, we choose to limit practice to a certain specialty to assist other physicians in the diagnosis and treatment of a variety of conditions. Typically, a chiropractic neurologist serves in the same consulting manner as a medical neurologist. The difference is that the therapies or applications of a chiropractic neurologist do not include drugs or surgery. As a result, certain conditions are more customarily amenable to treatment by a chiropractic neurologist as opposed to a medical neurologist, and vice versa. In my own practice, I see patients with a variety of vertigo, balance, dizziness and movement disorders, dystonia, headaches, and pain. There are naturally conditions for which drugs and surgery are more appropriate, and, many conditions for which drugs and surgery are inappropriate. It is my job to discern the two and treat those conditions that are amenable to the type of treatment, which we provide. There is a growing demand for the drug free treatments that we provide. Although not against the utilization of surgery or drugs when appropriate, our treatment focuses on not using them. We will refer a patient to another appropriate specialist who uses these modalities if that treatment is the most appropriate for a given condition. How does one become a chiropractic neurologist? The training to become a board certified neurologist in the chiropractic profession is an additional three years didactic and clinically based residency program, (after the doctor’s degree), which is conducted through an accredited university or college. Board examination is provided annually for which the candidate must sit to become board certified. Certification is provided through NOCA, (National Organization for Competency Assurance). When do I make the decision to see a chiropractic neurologist? Neurologists from a Chiropractic medicine background, trained extensively in neurologic rehabilitation applications, are in great demand. Nonetheless, the unfortunate reality is that most patients will go through the usual channels of failed allopathic treatments, before making the appointment to come see us. Many of these patients suffer needlessly for years prior to making that decision, oftentimes making themselves worse in the process. It is far more appropriate to engage our type of drug free treatment first, escalating to more complicated treatments secondarily, rather than vice versa, which oddly has been the trend, although more recently we see this changing. Dr. Scopelliti is a chiropractic neurologist, practicing at the 279 Professional Arts Bldg at the rear of Monmouth Medical Center, in Long Branch, NJ. He is also currently the president of the NJ Chiropractic Council on Neurology. His office specializes in the drug free management of vertigo, dizziness, balance loss, syncope, dystonia and headaches.